Produced by by Thomas Jefferson Kaye (except track 03 and 09). Track 03 and 09 : Produced by Marty Joe Kupersmith. Produced at Fidelity Records, L.A. (except track 03 and 09). Track 03 and 09 : Produced at Reeves Sound, White Plains, N.Y. Engineered by Cliff Zellman (except track 03, 05 and 09). Track 05 : Engineered by Dave Lopez. Track 03 and 09 : Engineered bi Jimmy Reeves. Arranged by Michael Utley (except track 03 and 09). 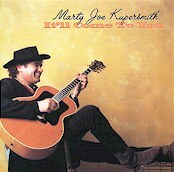 Track 03 and 09 : Arranged by Marty Joe Kupersmith. Executive Producer : John Matarozzo. The copyright registration for a song with the title "You Make It Hard For Me" is credited to Ace Frehley and Marty Kupersmith. Marty had been a member of Jay & The Americans (a band with ties to Paul Stanley's Uncle Joe band) and had written "We Got Your Rock" in 1983 - it soon found itself to Ace and turned up on his first post-KISS solo album. The demo recording of the song with Ace Frehley, Sebastian Bach, Richie Scarlett, and Anton Fig, is described in Sebastian Bach's book "18 And Life On Skid Row" (Chapter's 12 and 15). In 2009 the song ended up on Ace Frehley's "Anomaly" album with new lyrics entitled "Foxy & Free". According to Sebastian Bach, the 2009 version of the song is the same as the way they recorded it halfway the 90's ..., but without the co-writing credits for Bach.